Jurnal Standardisasi: Majalah Ilmiah Standardisasi is published by the National Standardization Agency (BSN) as an information and communication media for practitioners, researchers and academics who are involved and put interest and attention in developing Standardization and Conformity Assessment activities. 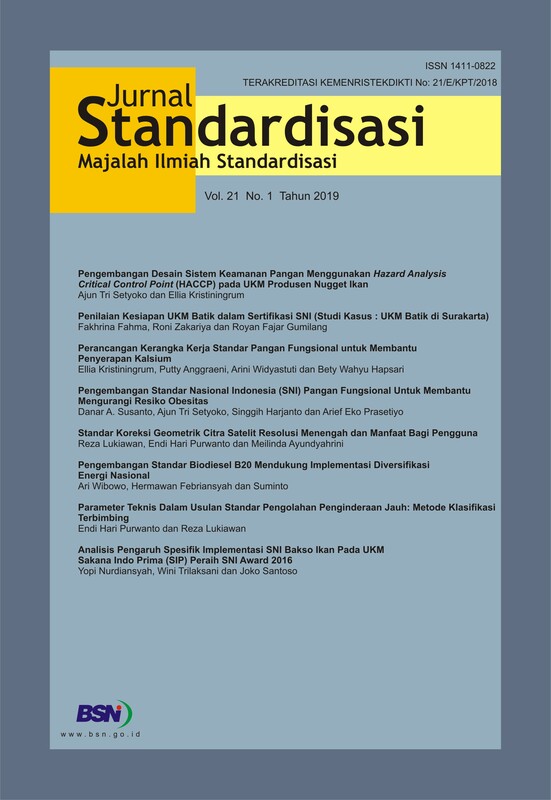 Jurnal Standardisasi: Majalah Ilmiah Standardisasi contains the results of scientific research, review articles and book reviews that analyze matters related to the characteristics and implementation of standards and standardization in Indonesia such as national standardization policies, standard development, standard harmonization, standard application (accreditation, certification, testing , metrology, technical inspection, pre- and post-market supervision, socio-economic impacts, etc. 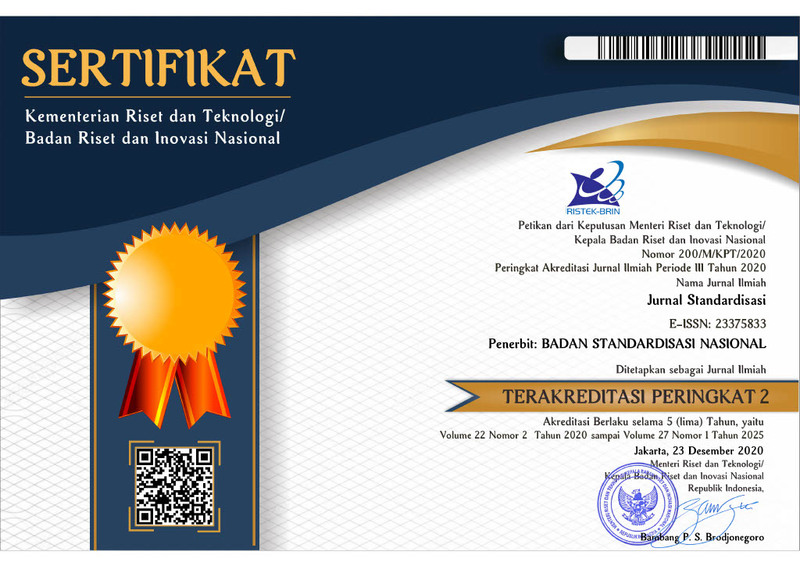 ), standardization of standards, technical regulations, and aspects related to Standardization and Conformity Assessment. Jurnal Standardisasi: Majalah Ilmiah Standardisasi was first published in 1999 with 3 (three) times the annual publication, namely in March, July and November, and since 2006 has been accredited by the Indonesian Institute of Sciences to obtain quality standards for scientific magazines that can used as a reference in managing the publication of scientific magazines in Indonesia.